I get many questions about where one can buy tropical insects as pets. Well, actually there are many places where you can buy insects as pets. You can find them in some specialized pet shops, specialized web shops, a fellow hobbyist or breeder and in some countries you can find them in nature. Is this insect captive bred or taken from nature? Catching animals from nature and exporting them takes its toll on nature and is often not easy to handle for the insects. Is this insect not too old? If it is adult, it can be really old and therefore not live long. It is best to buy a nymph instead of an adult. Is this insect sick or missing limbs? Although insects can regenerate limbs, this does not qualify for all limbs and for all nymphal stages. 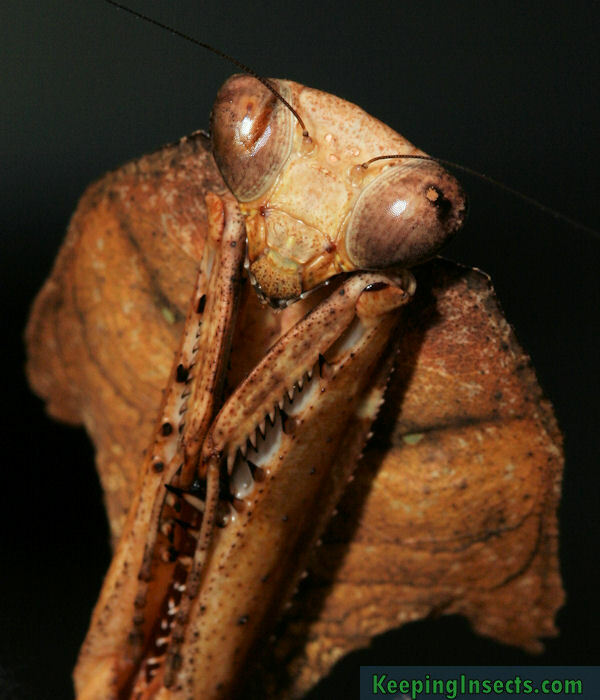 A mantis or stick insect that is past L6 cannot regenerate a limb completely. When selecting a pet shop or person to buy from, always check how the animals are kept. This will give you a good idea about the health of the animals you are buying. If they are kept well, you can expect them to be healthy. Maybe the seller can also show you how he or she takes care of the bugs to give you a head start. In the future I want to place a list of sellers on this page. If you know a seller of tropical insects or pet insects, you can contact me. Please state the location of the shop, what they sell, if they always have insects for sale or just sometimes and if they sell wild-caught or captive bred insects.